Are you a college student? We want to meet you and find ways that we can serve you and get you connected to the life of our community! 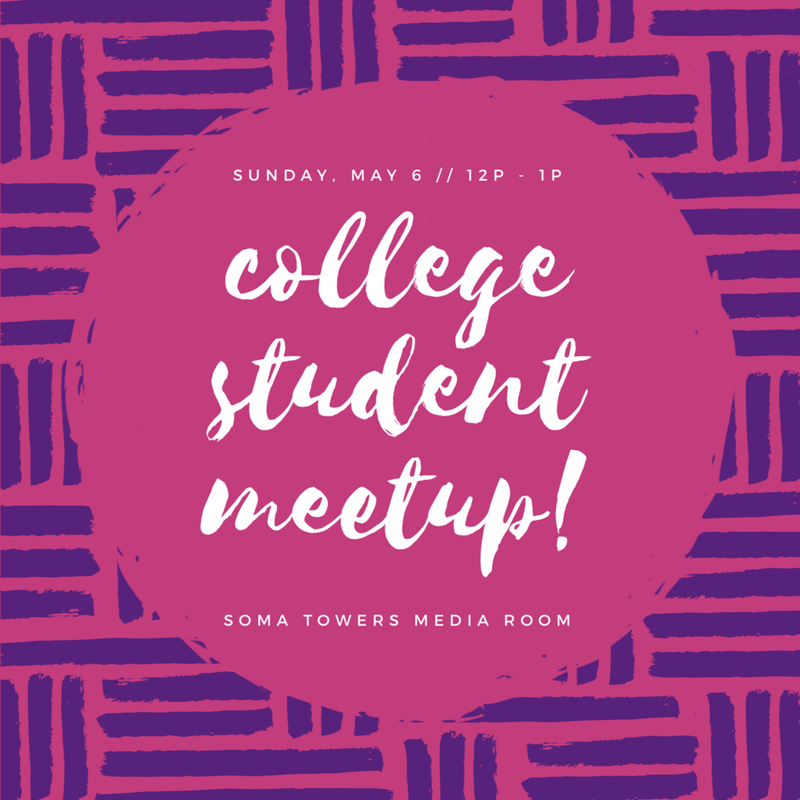 RSVP below to join us on Sunday, May 6th from 12pm - 1pm in the Soma Towers Media Room (3rd Floor, South Tower) for a free lunch and meet n' greet. You'll have an opportunity to meet our pastors and others from our community, learn more about our church, and find ways to grow, belong, serve and engage! We can't wait to meet you!